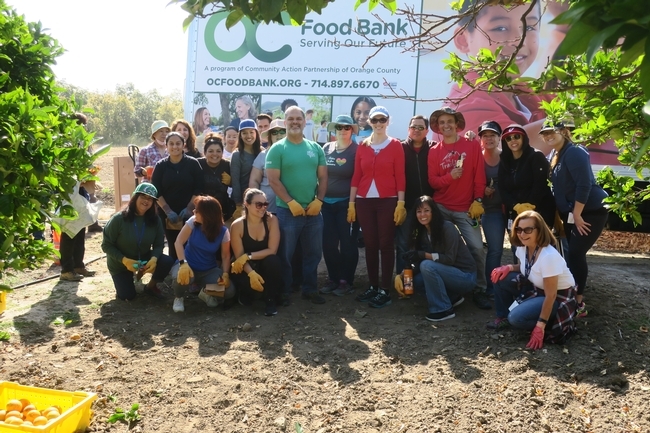 Pairing up with OC Food Bank and ASICS creates a very unique situation: OC Food Bank seeking opportunities to provide for the hungry, ASICS employees are willing to donate time to harvest orchards, especially those where the fruit may otherwise go to waste; UC ANR South Coast REC is able to provide a nutritious food source for the less fortunate in the community through it's extension project largely maintained by volunteers which is used to educate the public through workshops and tours. Bringing the these groups together benefits the community by assisting the REC with additional man power to properly glean the citrus, important to the health of the trees, and provides OC Food Bank with fresh produce to distribute at the food banks. 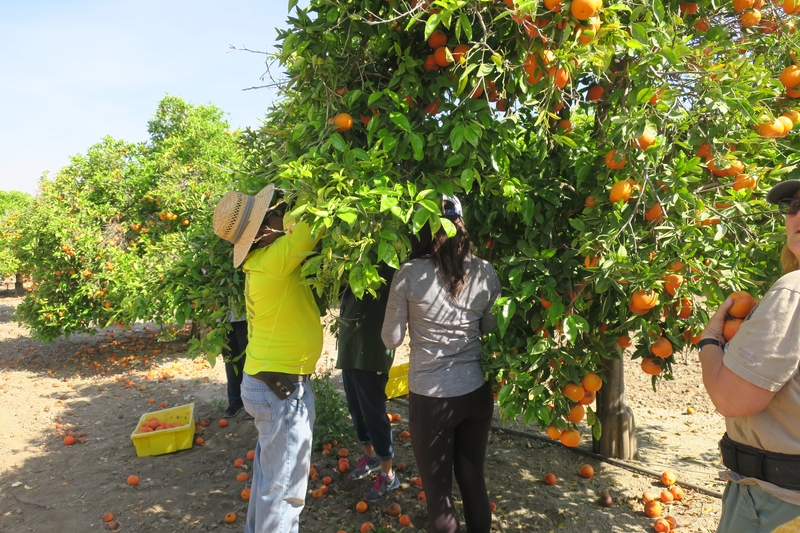 Led by Center staff and UCCE Orange County Master Gardeners, the group from ASICS gleaned the citrus located in the Center's Demonstration Orchard. 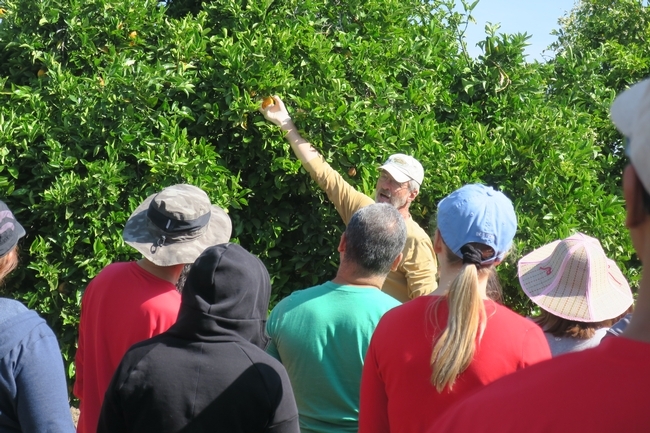 While harvesting the citrus located in the Center's Demonstration Orchard, the Master Gardener volunteers educated the teams about the various citrus varieties, safe and proper pruning techniques. 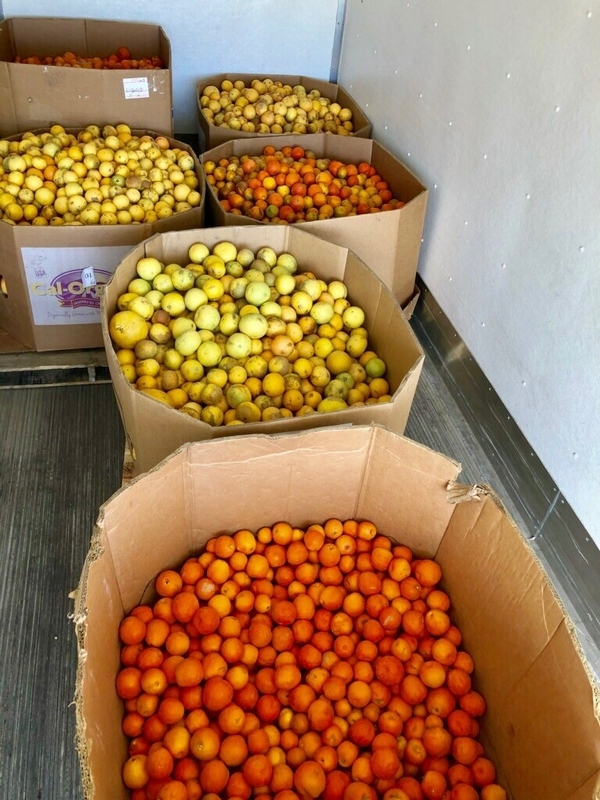 Though their time was short, a final tally of the gleaned fruit was 1,462 lbs. The volunteers were very proud of the contributions to such a worthy cause. The South Coast REC thanks both organizations for their philanthropic work through out the Orange County communities. It was a great day, and we were very fortunate to have the team from ASICS, a Japanese running shoe manufacture with offices nearby, assist with this activity.